Dr. Piyush Karia believes in helping people keep their teeth beautiful and healthy for a lifetime. His style of dentistry is all about delivering world-class dental care with the newest techniques and technologies, while also being a careful listener, patiently explaining dental treatments and offering good options for each person’s unique dental health conditions. Dr. Karia devotes plenty of time to listening to his patients’ background history and symptoms to ensure a proper diagnosis – patients always feel that they are given a thorough evaluation. Dr. Karia works to help every patient feel comfortable in the dentist’s chair and let them know that they are in good hands. 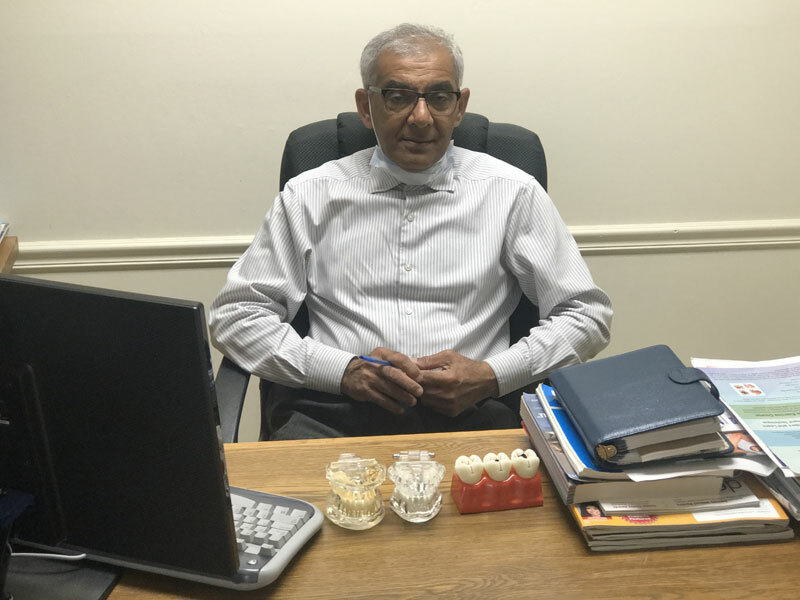 In addition to his interpersonal abilities and “chairside manner,” Dr. Karia is a skilled dental practitioner who relishes the work of restoring teeth, improving people’s personal appearance and oral health, and alleviating pain for people suffering from toothaches, infections or other dental problems. Each year, Dr. Karia well exceeds the mandatory level of annual continuing education hours for dentists. He has a passion for learning and is always looking to go deeper into the emerging trends, best practices and scientific knowledge of the dental profession. Dr. Karia loves to help people and has a longstanding commitment to community service. While working as a dentist in India, he opened a blood bank and an eye care foundation. In Southern California he provides free dental checkups at a local Hindu temple, he frequently volunteers with A3M (Asians for Miracle Marrow Matches), which helps find bone marrow matches for cancer patients, and is also an active member of Indo-American Senior Heritage (IASH), one of Southern California’s largest health and safety organizations for seniors. 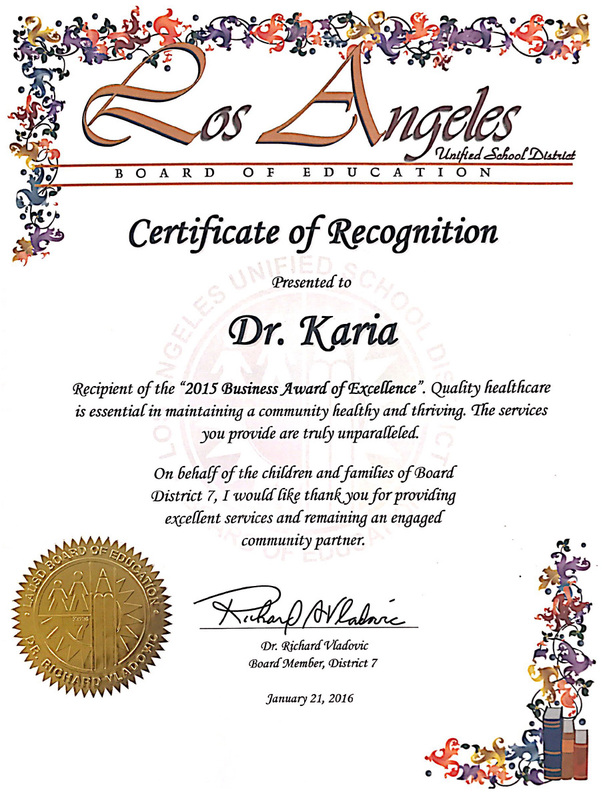 Dr. Karia holds a D.D.S. degree and has completed professional certification in implant dentistry. 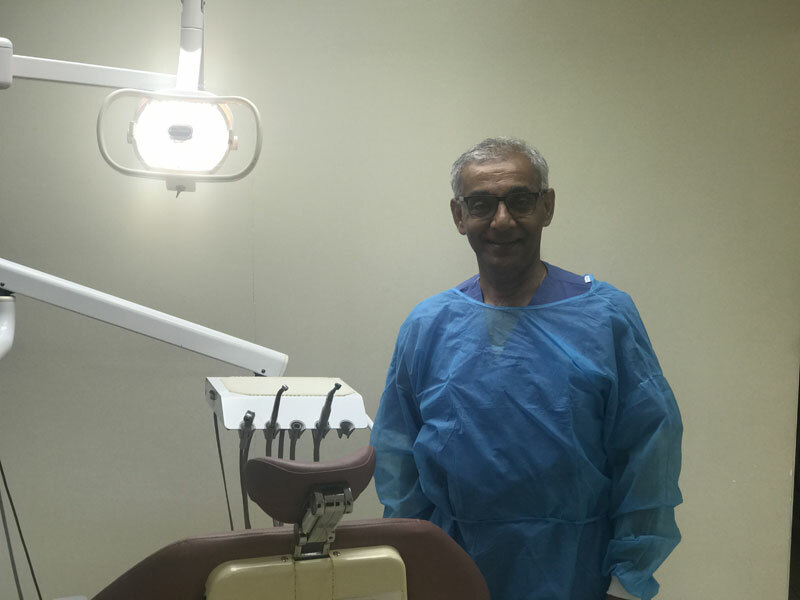 He has practiced dentistry since 1978 (starting in India) and in the U.S. since 1994. He belongs to the Indian Dental Association, the Punjabi Dental Society (PDS) and the American Academy of Implant Dentistry (AAID).